One of the major reasons the Medical College Admission Test (MCAT) was revised was because the Association of American Medical Colleges (AAMC) felt that memorizing basic science concepts was not enough to prepare pre-medical students for “modern medicine.” This led to the creation of the Psychological, Social, and Biological Foundations of Behavior, the new section of the MCAT. Students have many questions about this section, especially on how to study for the MCAT psychology and sociology topics to excel on this part of the exam. In short, you will want to review and memorize the necessary content, familiarize yourself with scientific research, and do practice questions, either through Magoosh – we now have over 700 practice questions! – or other resources. You can click on the link below to watch a sample video lesson from our course on how to study sociology, or scroll down to read more about the section as a whole. Some medical schools have begun requiring applicants to take one semester of introductory psychology, and a few schools require sociology as well as psychology. In the next few years, more schools will probably follow suit. However, if you do not plan on taking these introductory courses and will not be applying to any schools with this requirement, you can certainly self-study this material. The AAMC has created a very helpful roadmap to the MCAT content in psychology and sociology textbooks. This document includes a list of textbooks that students can obtain for their MCAT psychology and sociology studies. As textbooks vary, the roadmap lists exactly which chapters and pages that students need to read in each book. Some of the books on the list are free and accessible online so you can start your studying today! 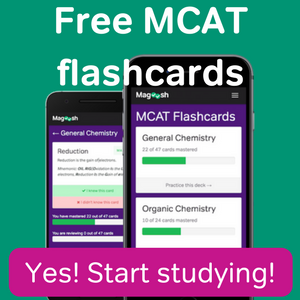 Magoosh also offers MCAT prep to help you prepare for psychology and sociology. On top of memorizing psychology and sociology terms, you will also need to read and answer questions associated with passages. The majority of these passages will be on science experiments. You will need to be able to understand experimental design, read graphs and figures of experimental data, and interpret experimental results. Getting involved in a research lab is a great way to strengthen your ability to answer questions on these experiment-based passages. Alternatively, you can start a journal club with your friends. Every week, you will all read a scientific article from a peer-reviewed journal and then meet to discuss your thoughts. No matter how much you review concepts or read science articles, you will still need to do practice questions. To excel on the MCAT’s Psychological, Social, and Biological Foundations of Behavior section, you must learn how to apply your knowledge and analytical skills to practice passages and questions. This, of course, is true for all four sections of the MCAT so make sure you make time in your study schedule to do lots of practice! Our Magoosh social science expert, Kat, has been a professor of sociology for 11 years and knows a ton about premed curricula and the MCAT. If you sign up for the Magoosh course, you’ll get access to tons of practice questions and over 300 lessons, designed by Kat, physicians, and science teachers. Hopefully, you now have a better idea of how to study psychology and sociology for the MCAT. 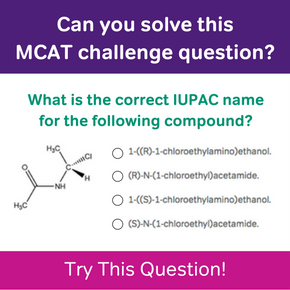 The other subjects on the exam require slightly different approaches so make sure to check out our other posts on how to study MCAT Biology and Chemistry. Congratulations on your score and thanks for sharing that resource! I’m very glad to hear that this post was helpful to you. 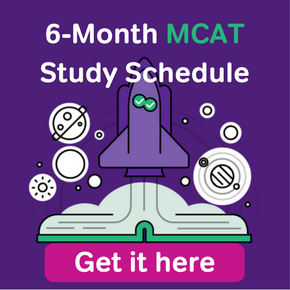 For anyone reading this that isn’t familiar with Khan Academy, check out our review of Khan Academy MCAT Prep. I agree that practice is vital the only problem is that for this new section there are very few resource out for practice. Khan Academy has some passages and some other organizations but they are very few and in between. I think it would be helpful to have a compilation of resources.